L-R: Chief Operating Officer Tan Joon Hong, CEO Sudeep Nair, Executive Chairman Tan Wang Cheow, CFO William Fong. Food Empire's strong core earnings in 2017 coincided with a US$7.7 million impairment charge on its Korean associate, Caffe Bene. As a result, net profit after tax stood at US$13.3 million, down 3.7% y-o-y. 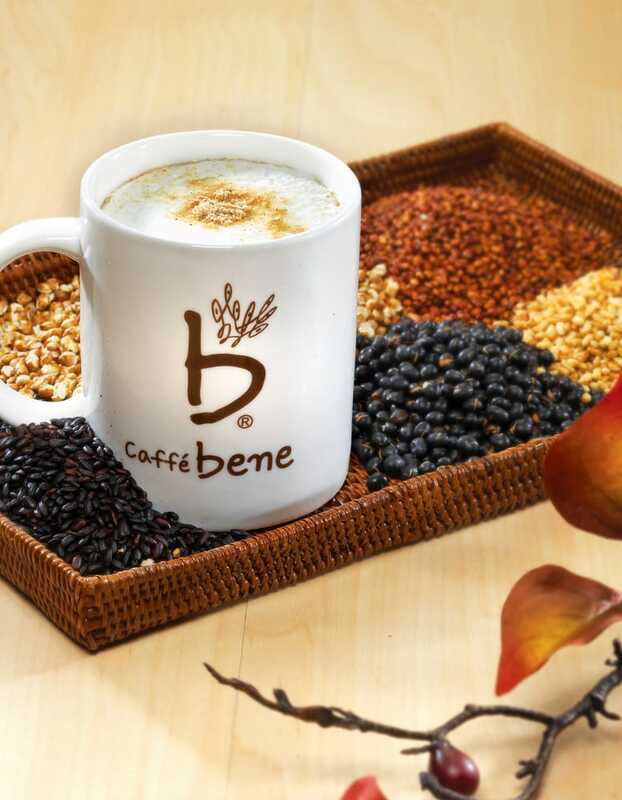 This year, its financial statements have no overhang from the struggles of Caffe Bene, as Food Empire's management emphasised. Q: Food Empire's ingredients business has grown dramatically over the years. Last year, it grew 90% to US$19 million. I'm assuming there's still a lot of growth left. Could you give us some background on the market size and the potential market that you can chase? Mr Tan: We sell ingredients to ourselves and to external parties. For the OEM business, we had about US$28 million revenue last year. About US$18 million came from the non-dairy creamer business and US$6 million from potato chips. Food Empire produces non-dairy creamer which it uses internally (for its 3-in-1 coffee products) as well as sell to its OEM customers. Photo shows printing of packaging for Food Empire's MacCoffee products. NextInsight file photo.Our instant coffee plant, which has been operating in the past two years, has done quite well. Last year, it recorded roughly US$5 m of revenue. We have announced a second coffee plant in India and we hope to get it up and running by 2020 and it will give us a substantial amount of turnover as well in the future. Q: What is the payback period for this plant -- given, I think, the US$11 m or 12 m in equity and US$30-40 million in bank loans? Mr Tan: It depends on two things -- the selling price at that point of time and the cost of the raw materials, the coffee beans. For the purpose of our budget, we typically consider 8-1o years for the payback period. Q: I noticed 2017 spending for advertisement and promotional expenses has dropped to US$23.6 million from US$27.8 million. The annual report referred to a one-off reclassification of the A&P expenses. Could you tell us how the "reclassification" works? Executive Chairman Tan Wang Cheow.Mr Tan: There was a change in the trade law last year in Russia, so US$2.5 million of expenses was reclassified as it was charged against sales. As a result, the turnover came down by US$2.5 million. The Russian sales growth actually was 10%, instead of about 8%. Q: Vietnam forms the majority of your Indochina sales. In 1Q last year, there was reduced revenue. Can you explain the effects of the Vietnamese new year holidays and update us on the competition? Mr Tan: In 2017, the Tet Holiday fell in January and people normally stock up the goods in December. In 2016, the holiday fell in February. For iced coffee, according to AC Nielsen last year, we achieved close to 80% market share in Vietnam. That's substantial. In 2014, our sales was about US$10 million but in the last two years was about US$40 million -- it was quite a jump in percentage terms. CEO Sudeep Nair.Mr Nair: To add, the competition has been very tough -- all the major players have launched or relaunched products similar to our Cafe Pho and they have been very aggressive. In spite of the competition, we are quite satisfied with our results in 2017. Moving forward, we hope to see better results because the foundation has been set. Q: How is our coffee capsules business doing? Mr Nair: It's a niche segment but it's growing in some parts of the world but not specifically in the regions where we are working, which is mainly emerging markets. This is about diversification of our revenue. We have a very good distribution system in the markets where we operate, and we want to be prepared. If the markets grow maybe in two years, this product gains momentum in our markets, we have a distribution system and our own brands which we are launching. Q: Regarding Caffe Bene -- what can shareholders expect in terms of its operations and financials? Photo: www.yelp.com Mr Tan: We have done full impairment because of a lot of uncertainty as to what will happen after the rehabilitation programme. It will be a clean sheet of paper for us. There was a major shareholder inside who did not want to extend a loan, so there was no reason for us to do so ourselves unilaterally. Caffe Bene has submitted to the court a rehabilitation programme. From what we understand, the court has approved it and in 1 or 2 months, the creditors will have to confirm if they agree with it. Q: Page 97 of the annual report summarises the performance of Caffe Bene. Its revenue has fallen from US$65 million in 2016 to US$45 million in 2017. Can you share what's happened to the business? Mr Tan: When we first invested, Caffe Bene had a few hundred outlets. They were losing money and had bank loans to repay as well as legacy problems with franchisees, and the US and China operations. They had a chain of drugstores, Italian restaurants, and we recommended that all these be cut off so the focus is on the cafes. Q: Can the independent auditor explain why it has a qualified opinion because it didn't have access to the financials of Caffe Bene? We should have access to the books. Simon Yeo, Audit Partner-in-Charge, Ernst & Young: The audit was performed by EY Korea. The auditor has to request for information from the management of Caffe Bene. Given what was going on in Caffe Bene, there were other priorities at that time. It's not about obstruction but it was just the circumstances at that time. Mr Tan: We could not determine our share of losses as they were in the midst of the rehabilitation programme, and that raises the question on the carrying value of our investment. That's why we decided to do full impairment.